← What Is The NAACP? Our country has been shaped and strengthened by the work of civil rights activists, especially those in Albany. Below, you’ll find information on some of the US civil rights activists that had a major impact in the 20th century. While Parks is best known for refusing to give up her bus seat in 1955, she was involved in the Civil Rights Movement for many years before that. She became the secretary of the Montgomery chapter of the NAACP in 1943, and was involved in a number of protests and investigations during this time. After Parks was arrested for breaking segregation laws, she became the face of the Montgomery Bus Boycott. The bus boycott lasted 381 days, but was eventually a success. Parks continued her activism after the boycotts ended. In the 1980s, she used the money she had gained from speaking fees to launch the Rosa L. Parks Scholarship Foundation. 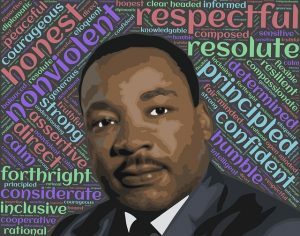 The name “Martin Luther King Jr.” has become synonymous with civil rights. In the 1960s, King made himself the face of the Civil Rights Movement. He made many major speeches, and he was present at a number of landmark protests. King was even awarded the Nobel Peace Prize because of his nonviolent protests. Unfortunately, the opposition against King was strong. In 1968, King was assassinated by James Earl Ray. Although King passed away at the young age of 39, he was able to accomplish a great deal. He remains one of the most significant civil rights figures of modern times. Harvey Milk was the first openly gay politician in the United States. He used his political power to advocate for LGBT groups. He sponsored a civil rights bill that banned discrimination based on a person’s sexual orientation, and he encouraged the LGBT community to become more politically visible. While Milk fought on behalf of LGBT groups, he also advocated for other marginalized members of society. He worked to provide free child care and public transportation to poor members of the community. He also fought against police discrimination. Tragically, Milk was assassinated by Dan White, a political figure that was strongly opposed to Milk’s policies. Milk was posthumously awarded the Presidential Medal of Freedom in 2009. Many people have contributed to the US Civil Rights Movement over the years. While not every figure is as famous as the activists listed above, a large number of people have worked to make the United States a better place for everyone.